I recently attended a blind A/B tasting. That means we (the tasting panel) were given four pairs of wines poured from concealed bottles, were given no information on them, and we had to compare each pair of wines against one another. The common thread was that one set was presented by a famed importer of classic old world French wines from the Loire Valley, while the other set was provided by a small, youthful winery from Santa Barbara, California. What made this most interesting was that it was a pair of brothers, born five years apart, who both work in the wine industry, pitting their wines against one another. It was a fascinating evening and enlightening tasting. Unfortunately, this tasting came after a month of too little wine and too much work. Stupidly, I arrived fresh from taking my daughter horseback riding- parched and on an empty stomach- which somewhat threw me off my “A” game. I took my wine notes, choosing many of the regions and grapes correctly. But I did something I’ve never done before. Our hosts asked us to tell them which wine we’d rather drink. So after tasting both wines in a pair, I quickly made a tiny heart-shaped notation indicating which of the wines I immediately preferred, knowing nothing more than my initial nose & sip. Normally I’m in critical mode, thinking about everything BUT which wine I might prefer to drink. My energy is spent deciding what the region, grape, style, and vintage might be, before possible food pairings. This time, I spent less concern on those criteria and just let my mouth decide. So, what did I learn, you ask? I learned that even an old dog can learn new tricks. As an outspoken Francophile (for the newbies, in the wine world that means I prefer old-world French wines) this tasting forced me to remove my size twelve boot from my mouth (Zut alors!) and replace it with a flip- flop, Duuuude! In not one, but in EVERY single instance, I had chosen the Santa Barbara wine. The Loire Sauvignon Blanc had more grapefruit upfront while the Santa Barbara felt muted and ergo drank with greater balance. 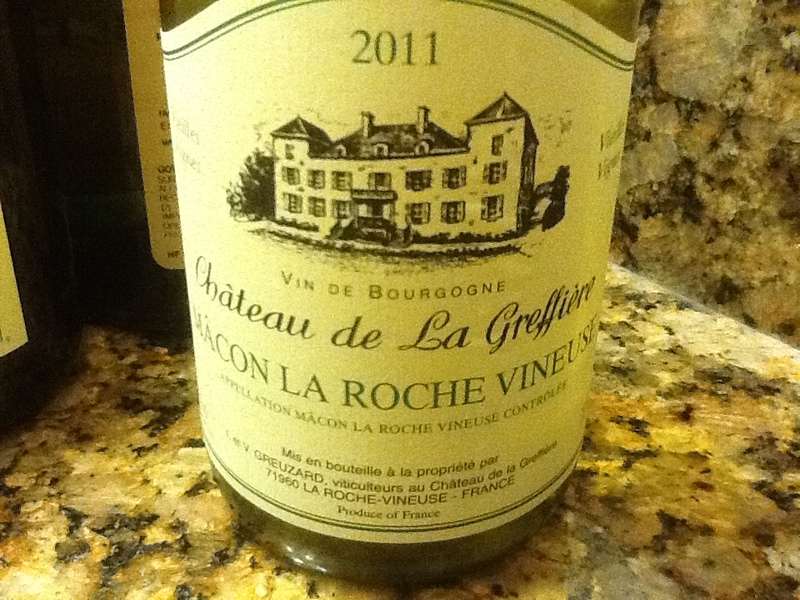 With the chenin blanc, it was the slight petrol on the French wine’s nose that made me prefer the other wine. With the pinot noir, it was that the French wine was actually a red sancerre. With the Cabernet Franc, it was the slightly deeper color and depth of palate that made me think it was aged longer in the barrel (it was) and was tastier on its own, while the French Chinon was a tiny bit sharper (more acidic) on the palate and ultimately would pair better with food, but fooled me into thinking it was Californian. All night long, I kept thinking there was a wine switcheroo– that the Californian wine was actually the French and so forth. I was slightly amused, and yet irritated at myself for getting it wrong, not coming to the tasting with my “A” game, drinking the wine more than just tasting it, and enjoying the process of tasting and just having fun, instead of taking it so seriously- which is, after all, really the best way to do a tasting, right? So instead of coming away with a set of killer tasting notes, I had a blast. I really enjoyed eight wines, and based upon minutiae, I selected four that I’d rather drink – and in every single case thought I’d chosen the old world French wines of my youth. Instead, I found myself having selected the Santa Barbara competitor time and time again. That, my friends, was the switcheroo. Towards the end of the evening, I found myself chatting with a lovely couple across the tasting table. 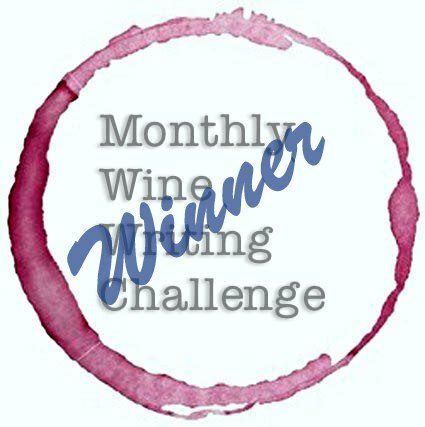 The wife admitted to me apologetically, “I know nothing about wine,” and I kept reminding her that the historic wine rules are no longer valid or in force. “As long as you know what you like, that’s what matters,” I preached. For this evening, I can do nothing but take my own advice. As an avowed Francophile, I am tipping my hat. For at least this one night, I am now California Dreamin’. Knowing what you like means I have the best of both worlds. I can drink what I like from the new world, and I can also buy, hold, and drink what I hold so dear: those old world French wines. My thanks to James Parisi and Xavier Wines for hosting this event. 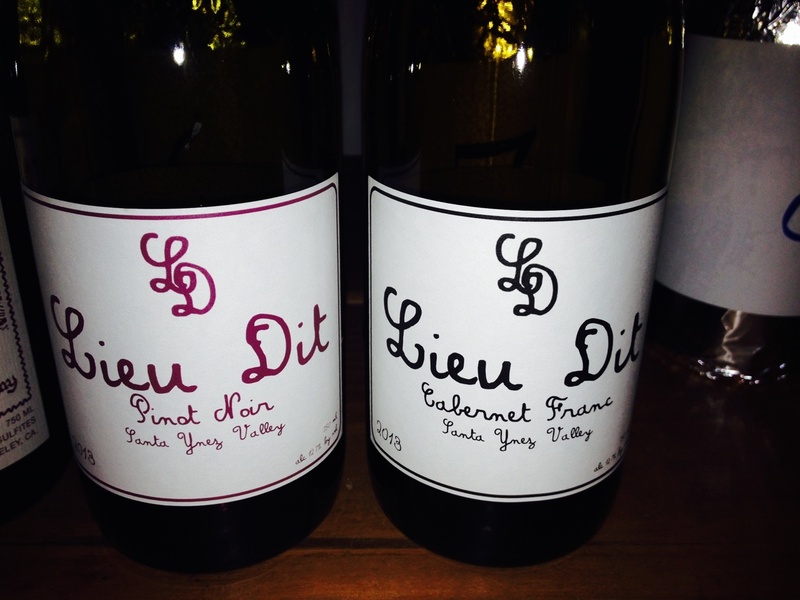 And both my thanks and respect to brothers Lyle Railsback from Kermit Lynch and Eric Railsback from Lieu Dit Winery for the astounding evening of great wines that I seriously enjoyed. Know this, gents: I’m a true fan of all of your work and will continue to enjoy all your brands, drinking both what I like at the moment, and what I have loved my whole life. 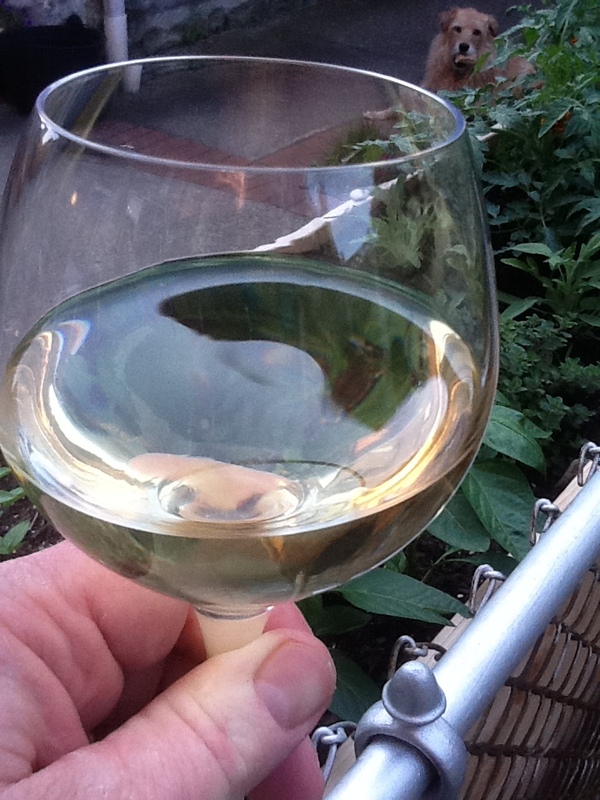 Back in the spring of 2013, I roused friends to one of my favorite rites of spring: Sancerre. I had several people reach out to me afterwards, expressing their similar joy at this regional delight. This year, seeing this bottle on a shelf and having an urge for instant-gratification, I bought this and quietly enjoyed it over a week of small sips late at night. It was most definitely a “guilty pleasure” wine, so much that I almost didn’t share it with you. Color: very pale straw with hint of gold. 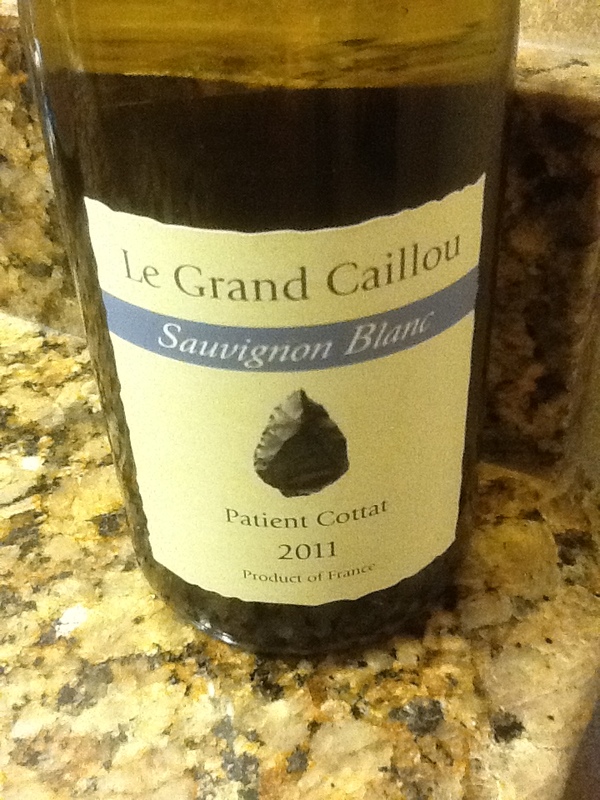 On the nose, meyer lemon, orange peel, mixed floral arrangement (screaming sauvignon blanc!) and a hint of minerals. 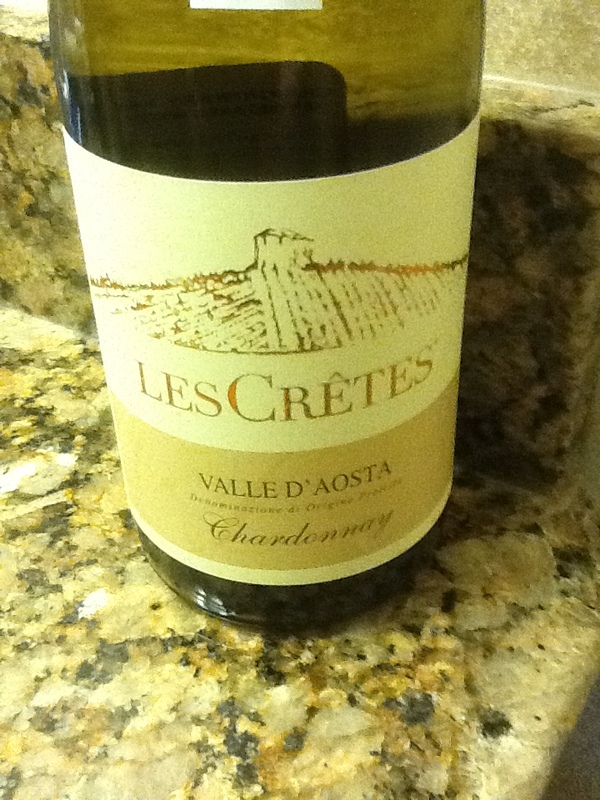 In the mouth, a delicate blend of tropical fruit with bursts of limestone and saline. A white that is gentle yet firm and rich. The notes lift into the top palate while the bright lemon fruit shines again on the back palate and through the long finish. 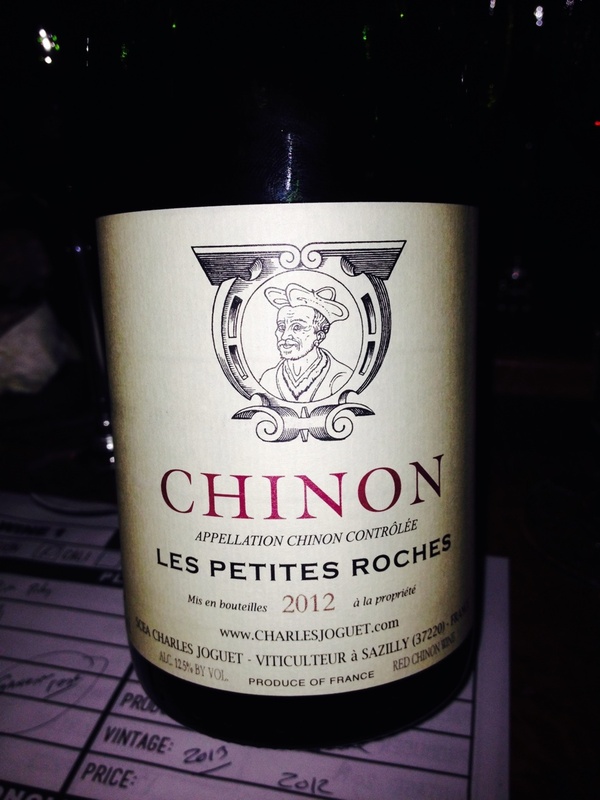 This is a beautifully made wine and the joy I experienced while tasting it matched some of the better, far more expensive chablis, white burgundies, and a few California chadonnays that I hold close to my heart. I don’t know if this wine is hitting me when I need to taste spring the most or if it’s really that darn good, but at under $30 bottle I’m about to regret posting this before trying to find out where I could secure a case for myself. Most excitingly, it distinctly reminds me of a glass of wine I enjoyed with my new bride on our honeymoon decades ago in Rouen, France. And that, I needn’t tell you, was an unbelievable and incredibly romantic trip. Evidently, I really enjoyed this sancerre. 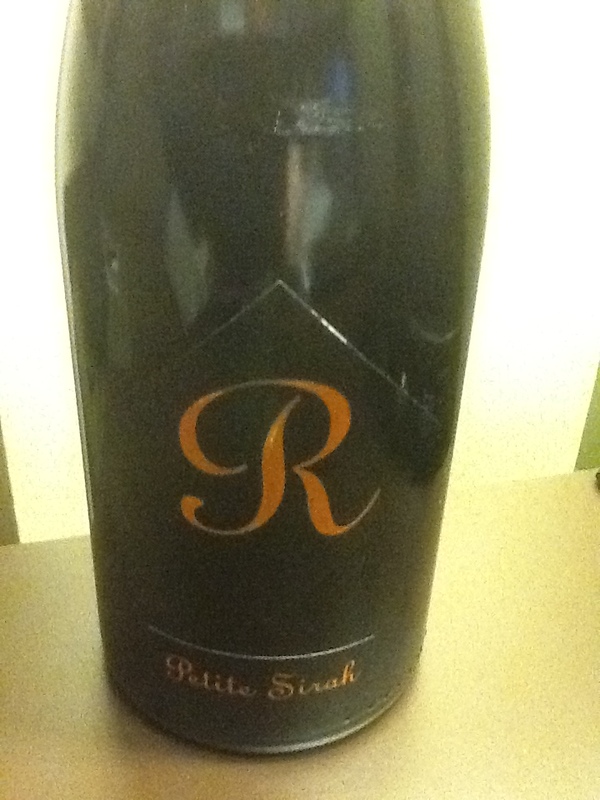 PDT, Alder, & A Wonderful Wine Weekend! I’m fortunate to work in an industry I love (entertainment) that by definition requires long hours. Often I work around the clock, and in this industry ‘weekends’ simply don’t exist. So when I get an opportunity to enjoy wine with friends, it’s very special indeed! Please Don’t Tell is a delightful speakeasy on east St. Marks Place on Manhattan’s Lower East Side. Access is via secret door, lines can be long and reservations are highly recommended. You actually have to enter by going into a phone booth in the shop located next door and “calling” the hostess. Once inside, skilled barkeeps mix new and classic drinks to thrill your tastebuds. Their delicious house concoctions have been created by famed NYC bartenders, and whether you choose something outrageous or traditional, you will be quite pleased with the service and your libation.I had some time to kill so I waited until opening and the hostess rewarded me with a seat at the side of the bar underneath a huge stuffed bear. 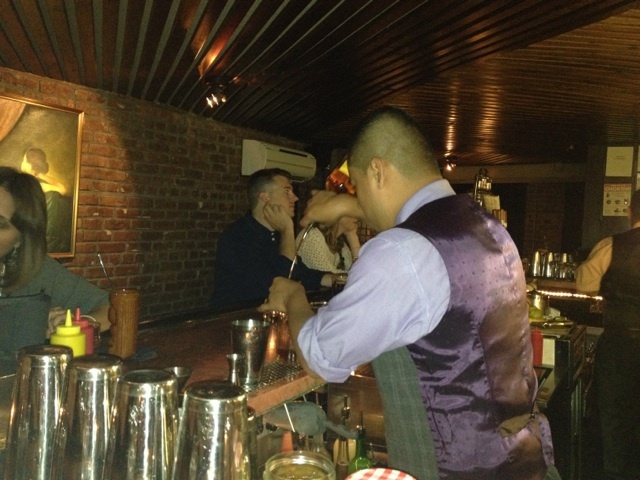 I reviewed the drink menu, ordering a classic sazerac and enjoying the carefully made concoction completely. 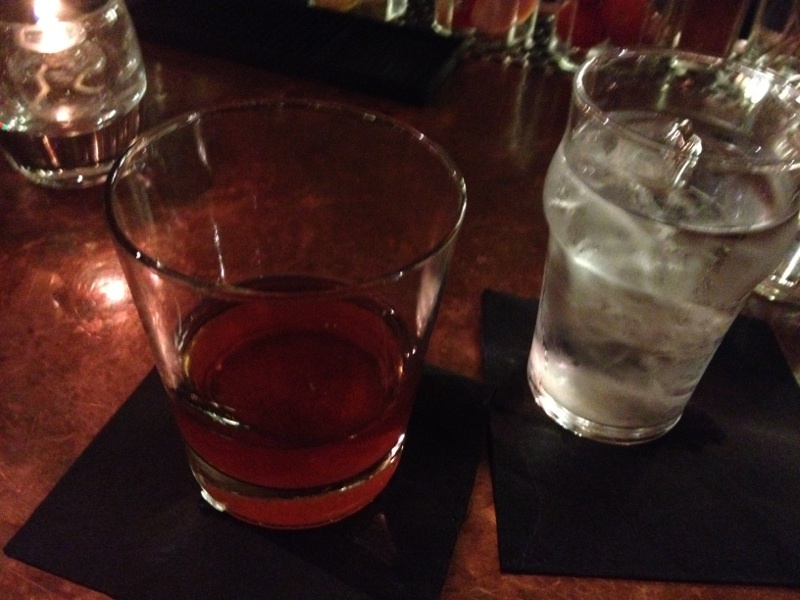 My classic sazerac, the best I’ve had outside the French Quarter- that’s high praise from me. My view from the side of the bar- perfect to watch every move and the incredible detail going into every libation served. After PDT, I swung over to 2nd avenue and met my buddy Lindsay for dinner at Wylie Dufresne’s Alder. Alder’s subtle entry, down 2nd Ave on the Lower East Side. Deliciousness awaits! While discussing our lives, wives, kids, and various jobs we shared an appetizer combo that allowed us both to taste five of Wylie’s finest small plates, and then several larger plates that demonstrate his incredible skill and funky perspective on food deconstruction. We enjoyed a rye pasta dish (which tastes like eating a bowl of pastrami sandwich), a savory and complex rabbit sausage, and the daily special, a spicy fried chicken. The GM/Somm Siobhan Lowe has a captivating smile and a brilliant wine list. I asked her to pair wines for me and she thrilled my glass and palate. I was equally captivated by her “wines by women” listing, which is a wonderful resource championing some amazing winemakers. I immediately liked Siobhan, and she divined my palate, tempting me with delightful wine pairings that demonstrated her vast knowledge and accurate palate. 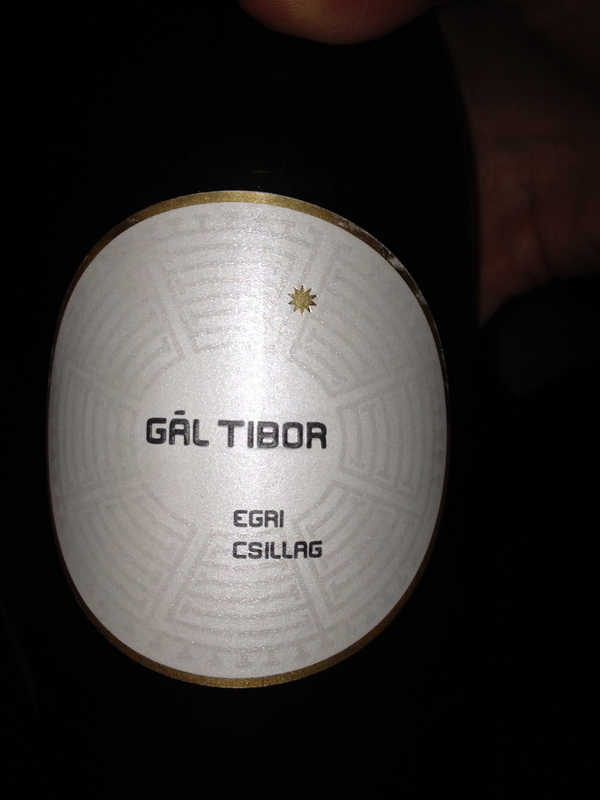 Gāl Tibor, Egri Csillag White Wine Blend, Hungary. ABV 13.9%. Prices by Snooth, from $13-19/bottle. “The Star of Eger” Hungarian Blend of 8 grapes- nose of wildflowers with fruity palate of apricot, pear, starfruit, manages to be a savory delight and a perfect complement to the five different apps on the pu-pu platter! 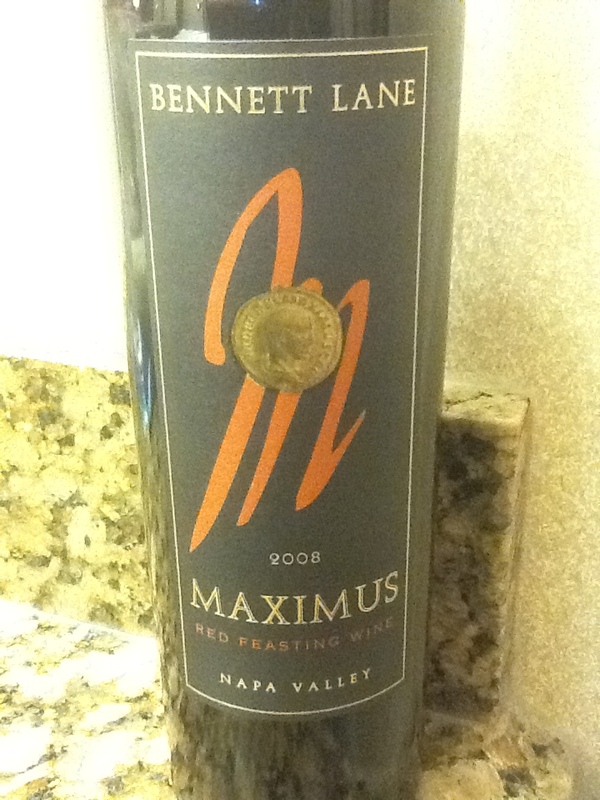 This is a delightful wine that offers great value and savory depth you’d expect to pay three times as much for. 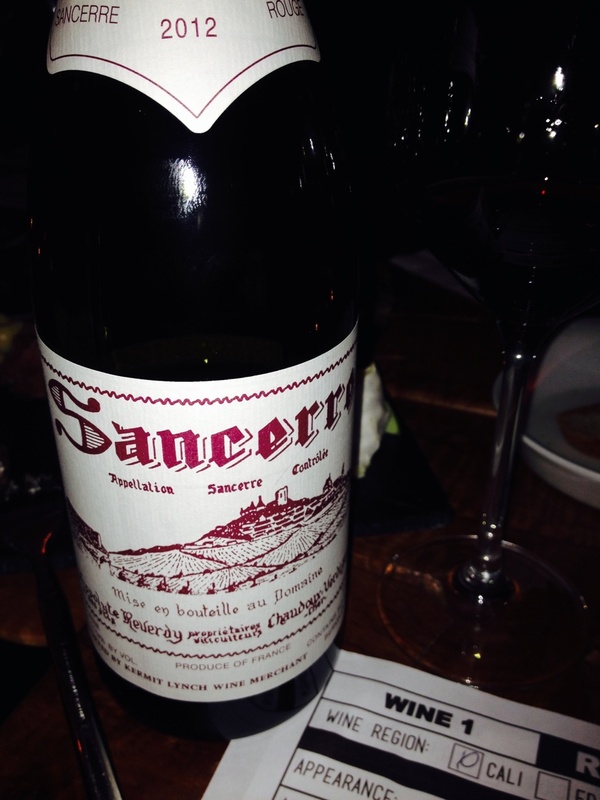 Domaine Paul Cherrier’s Pinot Sancerre 2013 is breathtaking. 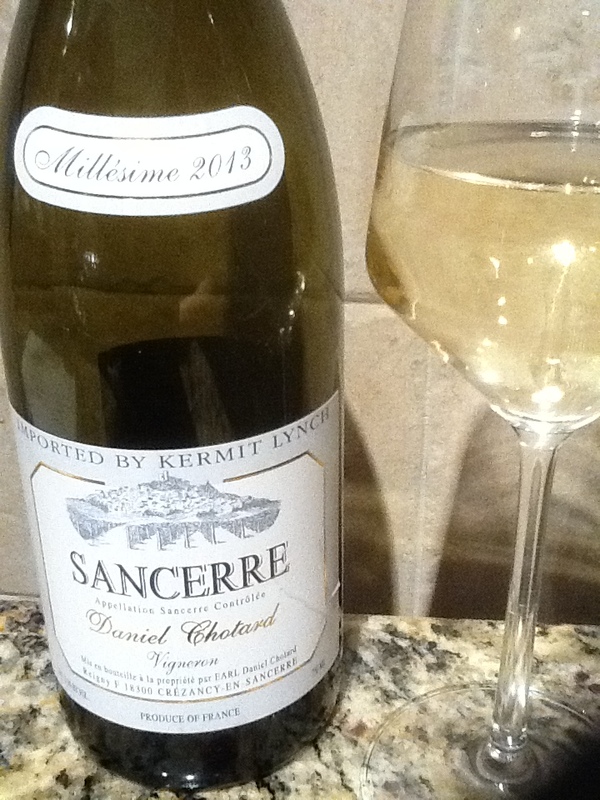 A stunning sancerre rouge, notes of bright red fruit plus enough acidity and tannin to stand up to the powerful flavors of the pastrami, rabbit sausage, and spicy friend chicken. Impressive! Check out this article in the Guardian that lists Cherrier at the top of the list of winemakers to visit in Sancerre. 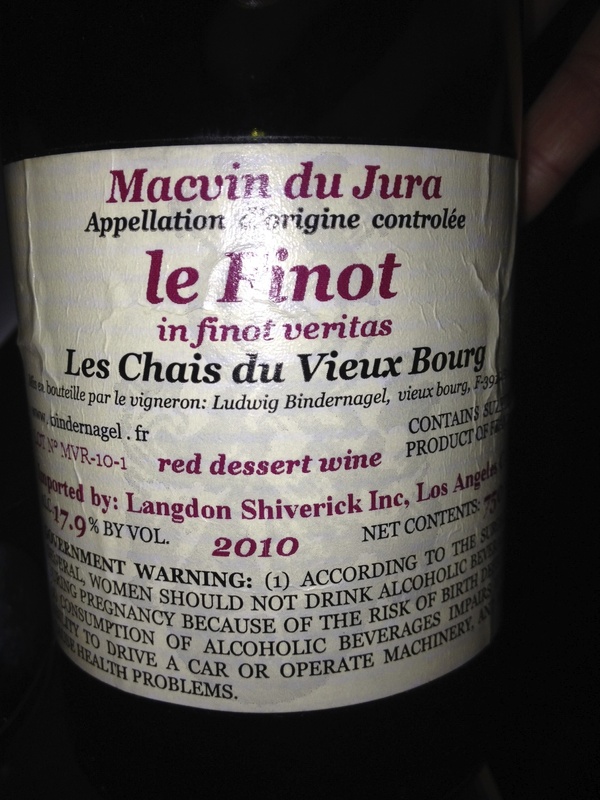 Last but not least from Alder’s Siobhan Lowe, Macvin du Jura (pinot) from Les Chais du Vieux Bourg. A great alternative to the dessert wines I usually choose, this one demonstrates a little black fruit along with cherry & orange notes and weighs in with a whopping 17.9% ABV you can see on the label. A delightful, fortified dessert wine that stands equally with many of the great dessert wines! If you find this wine for sale in the USA, LET ME KNOW! The following evening our neighbors were hanging out the backyard and over I went with a couple of bottles to share. Likewise, Phillip brought out a bottle brought to the US from a recent trip: Bürgerspital 2013 Würzburgerstein Silvaner Trocken, which was delightfully mineral and a lovely semi-dry wine for a hot summer night! List is €8.50, about $11 bucks. All in all, I have to admit that even though my hectic life means sometimes I don’t see a night off for weeks, the flip side of that is when my wine weekends are wondrous! What’s in your wine glass? Whatever it may be, I hope you’re enjoying a wonderful wine experience! Semi-Sweet Sancerre and Super Sweet Eiswein! Pale straw in color with a hint of green on the tinge. A nose of white peach, hibiscus, and citrus with a note of chalky clay. In the mouth, gooseberry, grapefruit, lemon, and lychee flavors dominate the palate and are followed by sharp acidity, with notes both sweet and sour on the upper palate and during the finish. 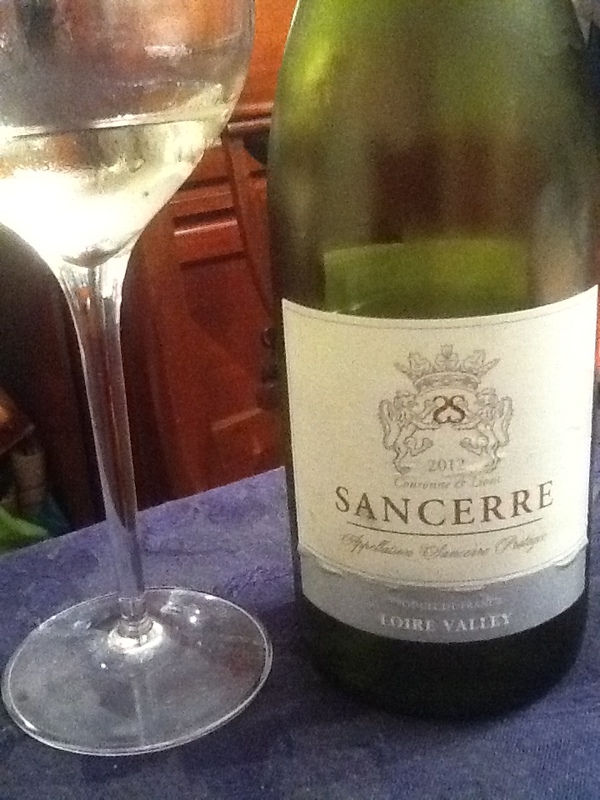 A nicely made sancerre that will also please lovers of sauvignon blanc; I think this wine shines best when served quite cold. The color is a lovely orange sunset and the nose reminds me of candied apples with pears poached in brandy. The palate of this sweet wine is ripe pear, apricot & plum, dominated by the sugary sweetness of the blend and a hint of must. 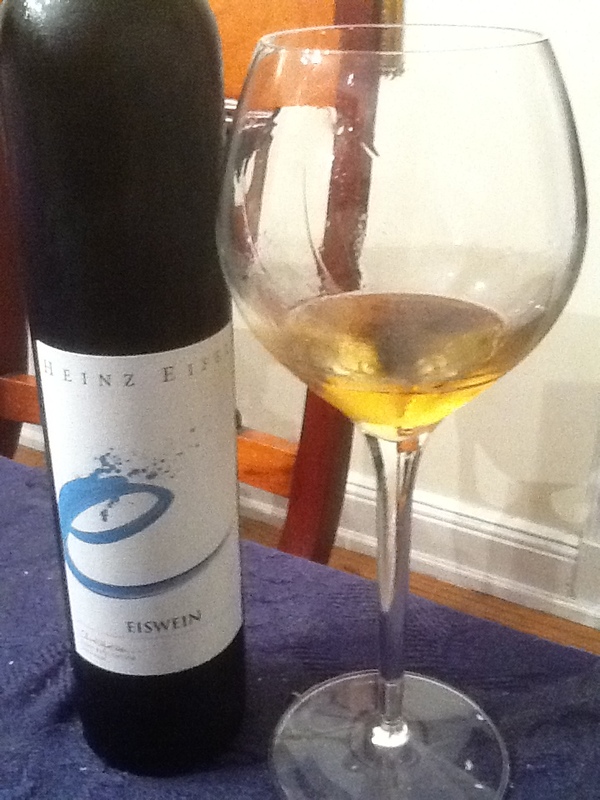 I’m stunned to find an eiswein so similar to a sauternes. After three separate tastings on different days, my notes all agree: at the right temperature (serve very cold), this eiswein is a superb dessert wine.